If it looks dry. 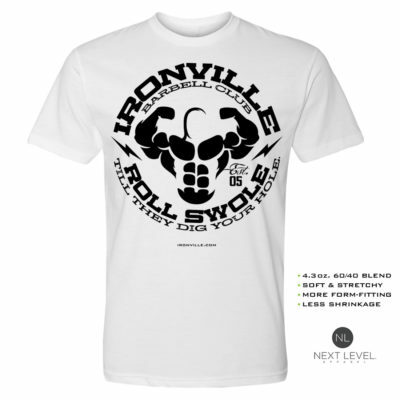 cool and comfortable, it’s probably wearing an Ironville dri-fit in the gym. Moisture wicking features now paired with our strongest designs.